Colorado Peak Politics | CARROLL’S CONFLICTED…AGAIN: Will She Vote to Keep Outsized Trial Lawyer Hauls to Benefit Her Employer? CARROLL’S CONFLICTED…AGAIN: Will She Vote to Keep Outsized Trial Lawyer Hauls to Benefit Her Employer? A bill making its way through the State Senate that would rollback the possibility of punitive damages, in addition to “equitable relief”, to enrich trial lawyers to compensate employment discrimination lawsuit winners, has small businesses throughout the state cheering. Well, most small businesses, that is. One business, Senate President Sen. Morgan Carroll’s employer, Bachus & Schanker, might be crying in its soup if this law passes. 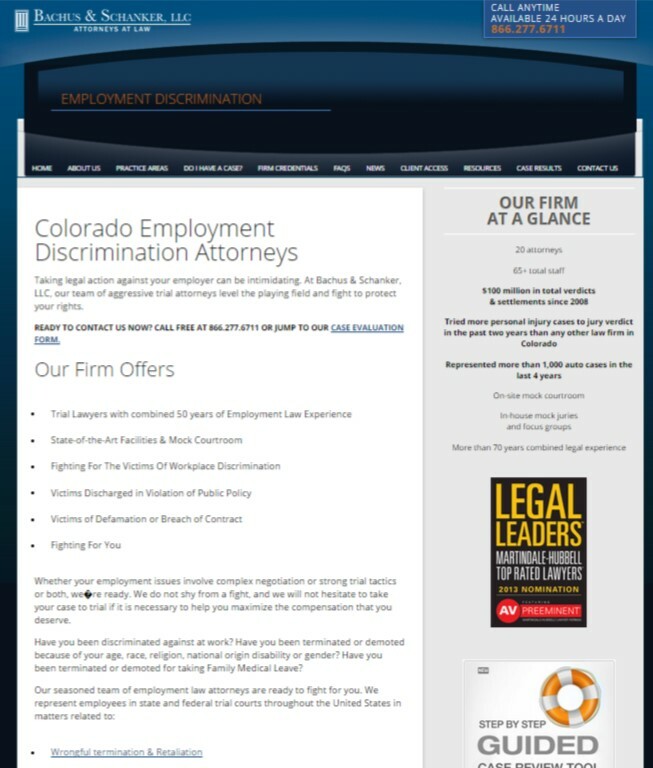 See, Bachus & Schanker is chock full of trial lawyers, and one of its specialties is employment discrimination law. If the settlement is larger, which the original bill would allow, her firm is paid more. The website below outlines all of the ways in which one could be discriminated against (i.e., all the options outlined in the original bill, HB13-1136). Of course, this should come as no surprise as Sen. Carroll sponsored the original bill. Yes, while working for Bachus & Schanker. Yes, as a trial lawyer specializing in employment discrimination. One would think she would recuse herself from voting for this bill, but nope. She went even a step further, she sponsored it. This isn’t the first time that we have called out Sen. Carroll for her crystal clear conflict of interest. In the last episode, she personally killed a construction defect law, which isn’t shocking since several Bachus & Schanker lawyers also specialize in construction defect litigation. Again, did Sen. Carroll recuse herself from this bill? Nope, she directly inserted herself into the killing of the bill. If neither of these instances was large enough of a conflict of interest for Sen. Carroll to ethically remove herself from the conversation, we just have to ask what would be? Is there any legislation that benefited her employer for which she would not throw her ethics out the window? Any?